Steve Hargadon: PBS NewsHour Is Hoping You'll Give Them Feedback! Online Meeting Tomorrow. PBS NewsHour Is Hoping You'll Give Them Feedback! Online Meeting Tomorrow. PBS NewsHour is part of our great experiment to help tap the tremendous capacity of the Classroom 2.0 and Library 2.0 audiences and help worthwhile education projects get feedback from real educators. We think you have a lot of advice to offer those who want to serve education! 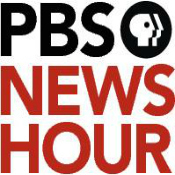 First, if you haven't already joined the PBS NewsHour feedback group, you can do so at http://www.classroom20.com/group/pbs-newshour. Second, whether you are a member of that group or not, please consider coming to their first live feedback event tomorrow, Wednesday, February 15th, at 2pm US-Pacific / 3pm US-Mountain / 4pm US-Central / 5pm US-Eastern / 22:00 GMT. Leah Clapman, the Online NewsHour Managing Editor for Education, entreats you: "We need, crave, appreciate your feedback! Come tell us how to make teaching current events easy and rewarding. This will be an informal discussion of the NewsHour's overall strategy and your ideas for teaching current events. Thanks again for being a valuable part of our education consulting team!" Location: In Blackboard Collaborate (formerly Elluminate). Log in at http://bit.ly/edincubator or https://sas.elluminate.com/m.jnlp?sid=2008350&password=M.3A365CAA7F47517E637C7DE59DBB34. The Blackboard Collaborate room will be open up to 30 minutes before the event if you want to come in early. Preparation: To make sure that your computer is configured for Blackboard Collaborate, please visit the support and configuration page at http://support.blackboardcollaborate.com/ics/support/default.asp?deptID=8336&task=knowledge&questionID=1473. We hope you will join me and Leah, Veronica, Imani and Thai (the team from PBS NewsHour). An exciting development. Sorry to have missed yesterdays, the time fell mid-day in a busy school librarian's schedule. I'd love to see more, including covering Our Space: Being a Responsible Citizen of the Digital World.